Elegant and tasteful, dreamy and delicate – our White Milk Urn arrangement manages to harness both glamour and a sense of purity, all gathered together in a unique display that can’t fail to bring to mind the freshness of spring mornings. 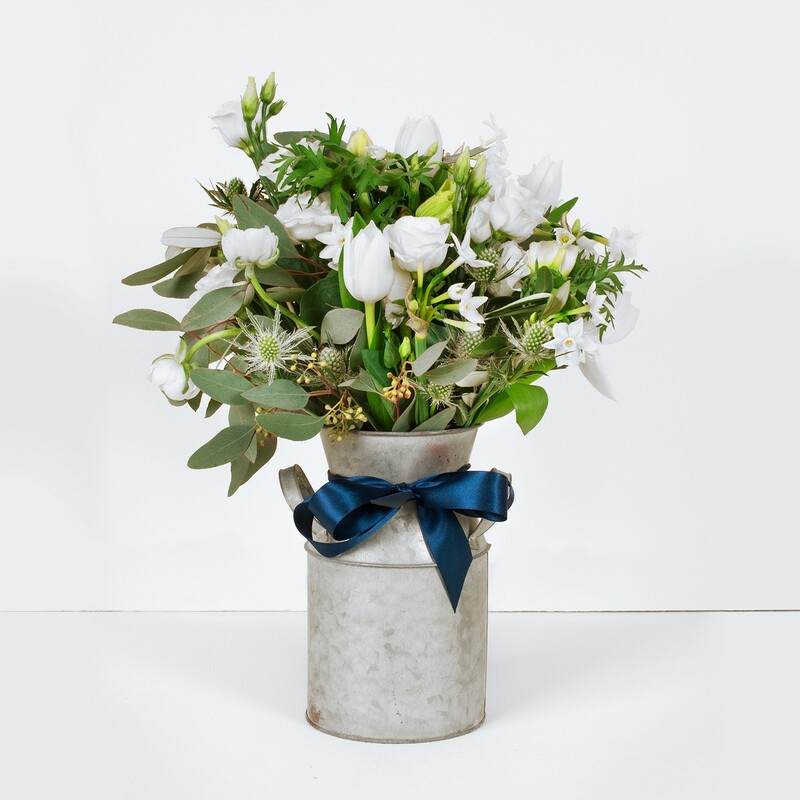 Although the colour palette is understated, the glowing white of the flowers creates an almost ethereal spray of flowers that looks gorgeous when displayed in the rustic charm of a beaten-metal milk jug. Opulent tulips look wonderful combined with the crisp petals of creamy lisianthus and regal, silvery thistle, and to complete the arrangement, white narcissi – also known as the daffodil – heralds spring with their jolly, nodding heads.